In this day and age, some tasks are still performed by hand and by skilled craftspeople. Luthiers needs several years of training and practice before they are allowed to produce a Gibson. It is a joy to see and adds to the craving for the product. 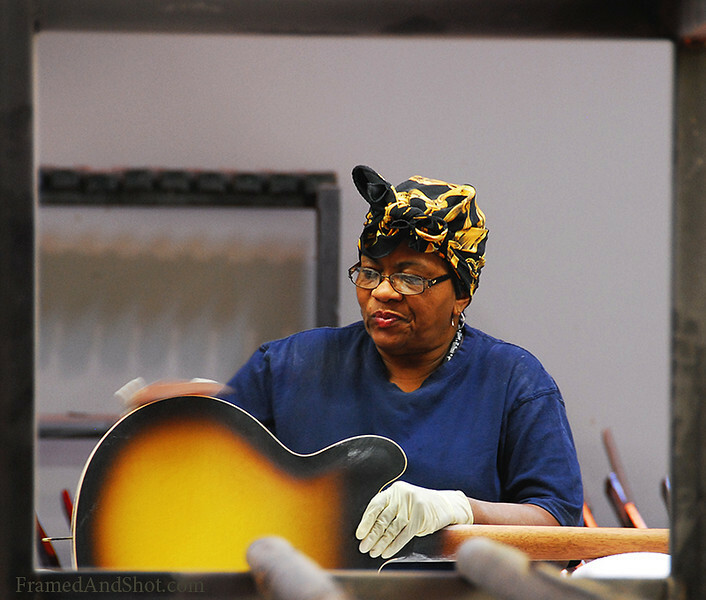 We captured this shot at the Gibson facility (no, it is not a factory) in Memphis. It is an amazing experience to watch the luthiers work, and this lady is seen though some steel construction in the hall (gave her a natural frame! ), her task was to polish the guitar – which she did with so much concentration, skill, and above all; love. Irresistible! After you have seen the amount of skill and work needed to create a Gibson, it turns into something more than a guitar.